Declared “the most beautiful island in the world” by author James Mitchener, Bora Bora has long been considered a destination for starry-eyed honeymooners who rarely venture beyond their luxury resort. But that is changing. As more and more women are choosing to travel alone or with friends, they are discovering that Bora Bora has so much more to offer to those who are seeking adventure and experiences in the exotic South Seas. One of the French Polynesian islands in the South Pacific and a short commuter flight from Tahiti, Bora Bora’s brilliant aqua water begins mesmerizing upon descent into the runway. Located on the motu – the small islets ringing the main island, there simply is no other hotel experience that can compare to having your own thatched bungalow hovering over four feet of warm, snorkel-ready lagoon. Many bungalows have a view across the lagoon to the looming volcanic Mt. Otemanu. Myriad sea life can be viewed from or your own private deck, or through a glass floor under the coffee table. The bungalows can be pricey, averaging around $1,000 a night, but definitely worth the once-in-a-lifetime splurge, or perhaps shared as a girlfriends’ getaway. Bora Bora’s clear crystal waters make it a prime snorkeling destination, offering a variety of options ranging from tame to terror. The resorts that are built on the motu offer a calm lagoon perfect for a sublime swim with water calm enough for spying on tropical fish. 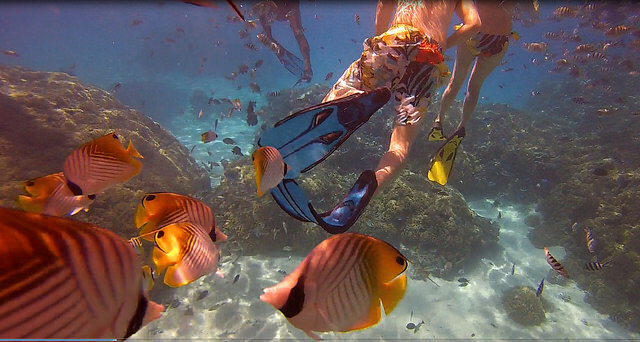 For even more variety of sea life and many different species of coral, the nearby Coral Garden reef is a popular area with snorkelers. This section of the reef is so filled with brilliant tropical fish that you almost can’t see the water. For the more adventurous, there are two other thrill-seeking possibilities. You can opt to swim with friendly stingrays in the waters protected by the outlying reef. These graceful creatures glide so close it’s possible to reach out and touch their velvety skin. 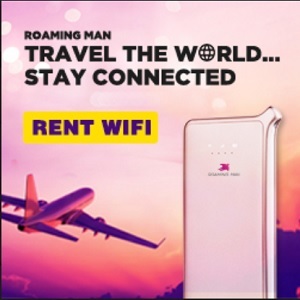 Need more adrenaline? No problem. 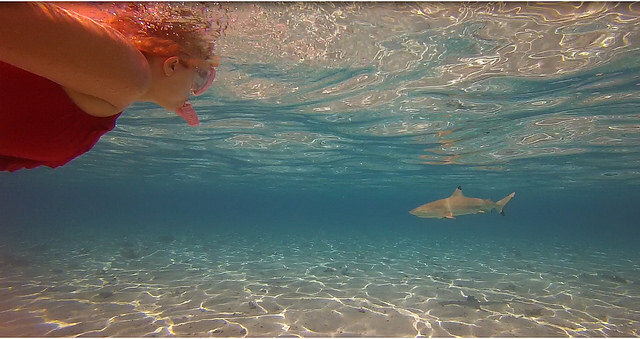 Take a tour out to the shallow reef to feed and snorkel with a legion of blacktip reef sharks. The blacktips are known to swim close to snorkelers and while they are docile and not dangerous, just being in such close proximity is very exhilarating. Don’t worry… the actual feeding of the sharks is done by an experienced, loin-clothed guide. 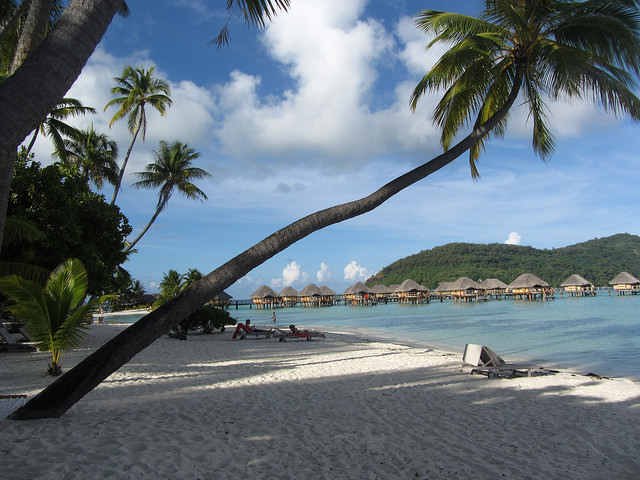 Picture sugar-sand fringed by swaying coconut palms extending lazily over translucent turquoise water. Perhaps a hammock beckons you, or maybe you prefer to submerge yourself into the warm ocean for a refreshing respite from the day’s heat. The choices include beaches on the main island or beaches at the resorts on the motu. When trying to find your spot on the sand becomes too much of a challenge during high season, it is usually just a short walk away from the masses to find someplace less crowded. 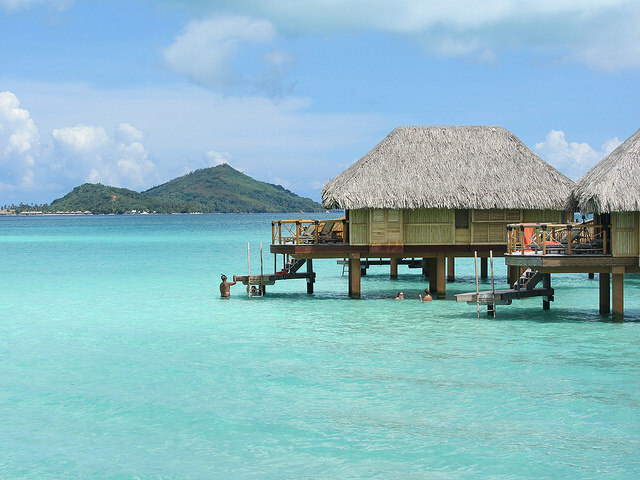 Forget about typical air-conditioned malls, you won’t find any in Bora Bora. What you will find are small boutiques and craft markets along the road around the capital of Viatape, selling local art, souvenirs, and colorful pareo – the traditional sarong-style wrap that can be seen throughout the island worn by both locals and tourists alike. If you happen to catch a case of “pearl fever” after seeing the locals’ luminescent jewelry, Viatape is also the place to find a bargain on the beautiful black pearls that are harvested throughout French Polynesia and renowned for their high quality. Chose an air-conditioned land rover or a more robust experience in an open-air 4×4 jeep to drive around the island. 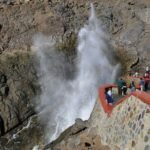 These guided tours will tell take you to historical sites and archaeological Marae temples, and treat you to the spectacular panoramic views from the top of the mountains. As an alternative, you can also take a guided jet ski tour around the lagoon with stops for snorkeling and eating. Sea kayaks, stand up paddle boards, and jet skis are available at most resorts at no charge for guests. For over-the-water fun, try a single or tandem parasail for a bird’s-eye-view of the most beautiful lagoon in the world. You can even control how high to go and the length of time in the air. 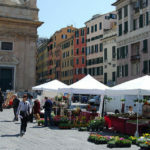 The fresh local seafood and savory French fare (ah! the baguettes!) can make slithering into your swimsuit no easy task. No trip to French Polynesia would be complete without sampling the traditional poisson cru (“raw fish”). 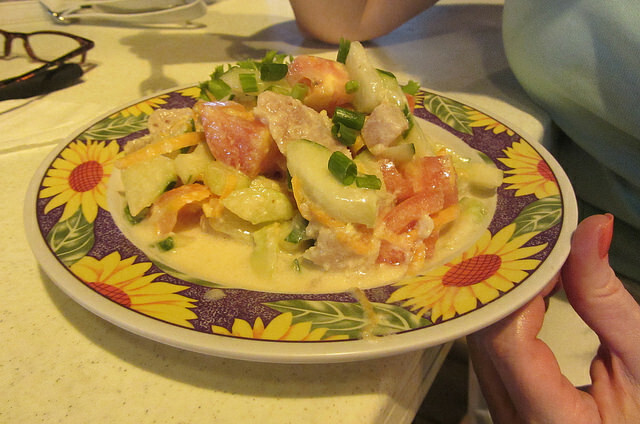 This delicious concoction is made with fresh raw tuna, cucumber, scallions and tomato, all marinated in lime juice (which slightly “cooks” the fish) and creamy coconut milk which adds just the right amount of texture and sweetness. Even those who don’t like sushi have tried and liked poisson cru. Don’t forget to top off your meal with coconut bread, baked fresh every day. If you’re looking to hone your amateur photography skills, Bora Bora abounds with stunning scenery and activities, from the alluring beaches to the dazzling sunsets over Mt. Otemanu. If you’ve ever wanted to try your hand at underwater photography, the crystal clear water here are optimal, especially for cameras like the GoPro Hero which takes wide angle video as well as still photos. 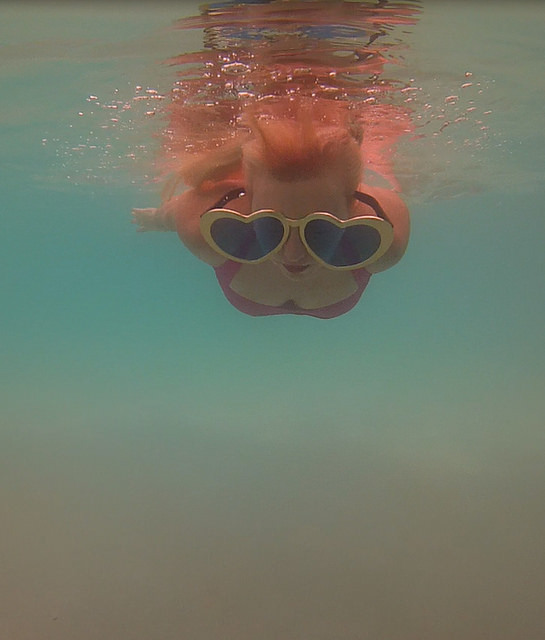 Even a cloudy day on Bora Bora can turn into a hilariously fun day with a camera and a few props. Most resorts offer at least one “Polynesian Night” which consists of an enormous buffet dinner and traditional Polynesian dance show complete with fierce warriors and grass-skirted women exhibiting the tamure – the exotic, athletic Tahitian hip-shaking hula. To get yourself “chosen” to take part, simply make sure to get a seat in the front and make eye contact when they begin scouting for participants. You’d be hard-pressed to find more friendly people anywhere. 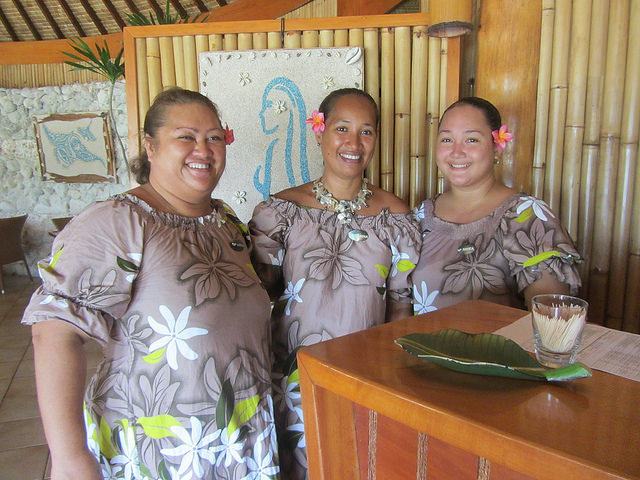 In particular, the workers and staff at the resorts love to engage with the guests. By learning just a bit of Tahitian, you’ll be sure to get the best service of your life! Even a few simple words like, mauru’uru (thank you), nehenehe (beautiful), ia ora na (good morning/day), will open doors and elicit smiles. This is the most authentically Polynesian resort on Bora Bora and most reasonably priced over-water bungalows. Full day snorkeling excursion which includes swimming with stingrays, snorkeling at the Coral Garden, shark feeding and motu picnic. Note: For full disclosure – Patti Morrow was a guest of Bora Bora Pearl Resort and Spa and received assistance with activities from Tourism Tahiti. 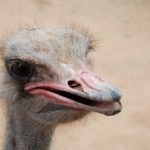 Travel Tip: Curacao Ostrich Farm – This Place Is For The Birds! 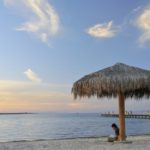 Patti Morrow was born with incurable wanderlust, eventually leading her to a career as a freelance travel writer and photographer. She specializes in women’s adventure travel and has traveled throughout most of the United States and 35 countries abroad. 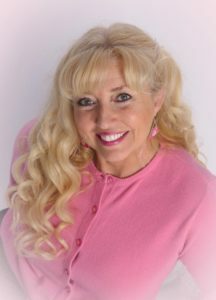 Patti has been published in numerous media, including International Living, Women’s Home Journal, Travel Post Monthly, MORE magazine, WAVEJourney.com, and Diva Toolbox and was featured on Tori Johnson (of Good Morning America) Spark and Hustle. 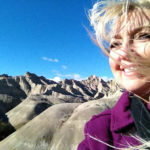 She is the editor of Luggage, Lipstick and Laptop, an online resource for women’s adventure travel, and is a member of ITWPA, AWAI, Intrepid Travel, Media Kitty, and TravelWriters.com. 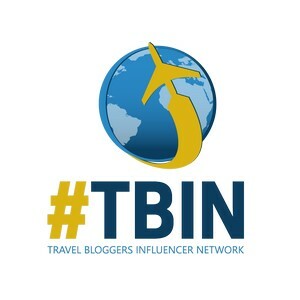 Travel Tip: Curacao Ostrich Farm - This Place Is For The Birds!